I told you how I became a blogger. For the longest time, I was sure no one ever visited my blog, because I had zero, one or at most two comments per post. I was talking to Jahanshah, the troublemaker, one time and he told me about website meters. He taught me how to look for one and how to install it. Since that day my life as a blogger really started. I realized that there were indeed quite a few people who came to see my blog everyday, but none of them were leaving comments. Since more than half of them came from Iran, perhaps they felt intimidated to leave comments in English. I don’t know. In trying to figure out how people found my blog and came to see me, I stumbled upon a feature on my website statistics software—“Recent Visitors By Search Word.” It produces a report that shows what words people have typed in their search engine bars to have found their way to my blog. This feature has been a constant source of amusement and puzzlement for me. I have observed that a few times people have typed in my name in the search bar of Google, Yahoo, or any other search engine they use. A couple of times they have searched for my blog name. Many times searching for an artist, an author, or a subject brings them to my doorstep, as I tend to write about Iranian artists, events, and artistic subjects. Believe it or not, the largest number of visitors to my blog have arrived through searching for the word “Khastegari!”* I have some posts in which I have talked about childhood memories in Tehran, in which I have made general references to the words “khastegar” and “khastegari.” No big deal at all. After I got over my initial shock (after all, here I am, trying to keep a decent blog, talking about arts, literature, culture, and nostalgia and I get all these visitors looking for something completely unrelated—or is it? We shall see. ), I started to think about the subject in more depth. Since they are coming anyway, I have every intention of giving them what they are seeking. I am working on a piece of writing about single Iranians in diaspora, exploring their efforts looking for Mr./Ms. Right, their dating woes, their cultural requirements and hang-ups, matchmaking and blind dating, requisite Iranian customs such as khastegari (especially khastegari! ), and the wedding itself. 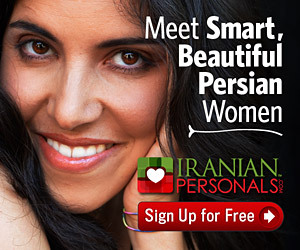 If you are a single Iranian of any age, or if you have recent experiences being single, and if you would like to help me by sharing your trials and tribulations and successes, let me know. I will be sure to incorporate your input into the series I am writing on the subject. You may leave comments here, or you can email me (nazy_kaviani@yahoo.com). I will write again soon. * In case you don’t know what this word means, a Khastegar means a suitor, and a Khastegari is a meeting by appointment of two families to discuss marriage interest of a young man and a young woman.